Josh Warrington lands a heavy blow on Carl Frampton during the pair's IBF featherweight clash in Manchester on Saturday. Josh Warrington’s father urged Carl Frampton to fight on after a shattering defeat in Manchester left the Belfast boxer to contemplate his future. Sean O’Hagan said he expected to see Frampton back in the ring and paid tribute to the 31-year-old for surviving 12 rounds in a sensational featherweight tussle with Warrington on Saturday night. Frampton lost a unanimous decision, his second defeat as a professional in his 28th bout, after being dominated and outclassed throughout Warrington’s first IBF featherweight title defence. His attempt to go toe-to-toe with the Leeds’ fighter backfired as Warrington threatened to stop him in the opening two rounds and wobbled him again later in the bout. 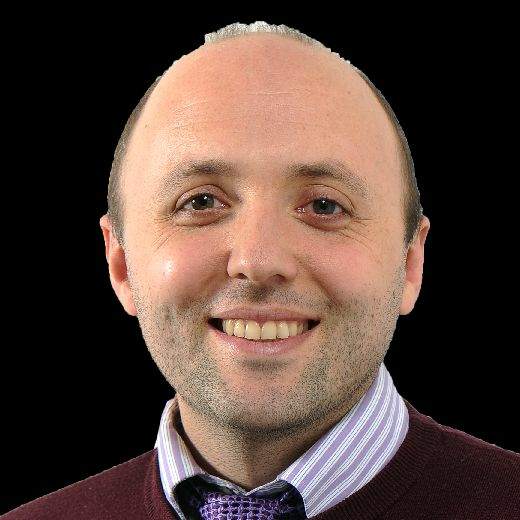 Warrington had claimed beforehand that defeat would be Frampton’s “pipe and slippers moment”, suggesting the former WBA featherweight champion had few options left after two years without a world title. But O’Hagan, Warrington’s father and trainer, told the YEP: “I don’t think that’s the last we’re going to see of him. People saying he’s done after that performance? Do me a favour. “If Carl wanted to come back and asked to come back with me then I’d have him, definitely. That performance was as brave as you like. Frampton refused to comment on his next move afterwards but appeared to dismiss the option of a rematch by saying he hoped Warrington “goes on to unify” other featherweight titles. 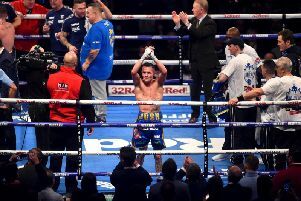 O’Hagan and Warrington had both promised to put pressure on Frampton from the outset but few in a crowd of close to 20,000 at Manchester Arena were ready for the explosive start which left Frampton clinging on desperately in rounds one and two. O’Hagan admitted that Warrington’s brilliant onslaught had not been part of their tactics, saying: “I wanted him to stamp his authority and let Carl know we were there. I wanted to take the edge of him psychologically but I didn’t ask him to trade that early. “No matter how much you plan and train, a fight can end up being completely different. He went out there and walloped him. They stood in the middle and shot from the hip like two gunslingers. O’Hagan said he shared Warrington’s desire for a unification fight next after Saturday’s victory earned Warrington the position as mandatory challenger to WBO holder Oscar Valdez. The win over Frampton came just seven months after a bruising 12-round scrap with Lee Selby which established Warrington as Leeds’ first male world champion but O’Hagan said a safer defence was not in the 28-year-old’s interests. “It might help him tick over but if you do that then you’re not being true to the fans or yourself,” O’Hagan said.